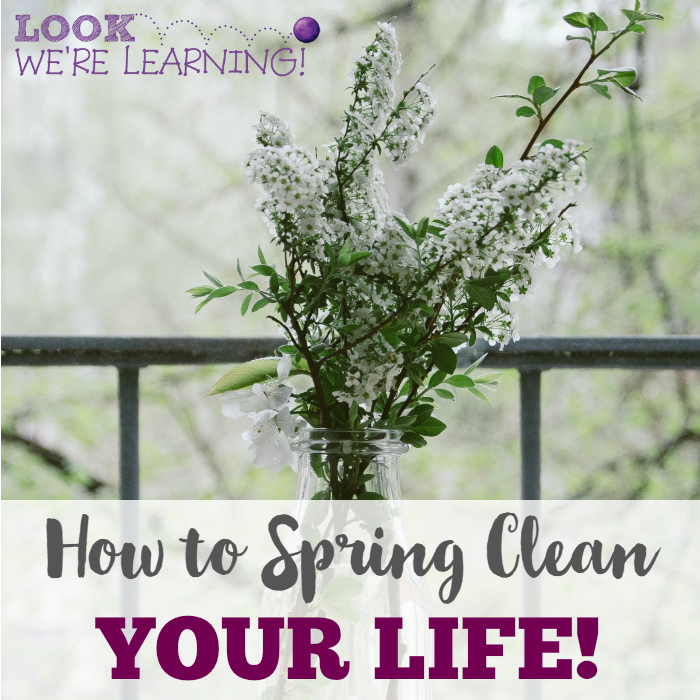 How to Spring Clean Your Life - Look! We're Learning! 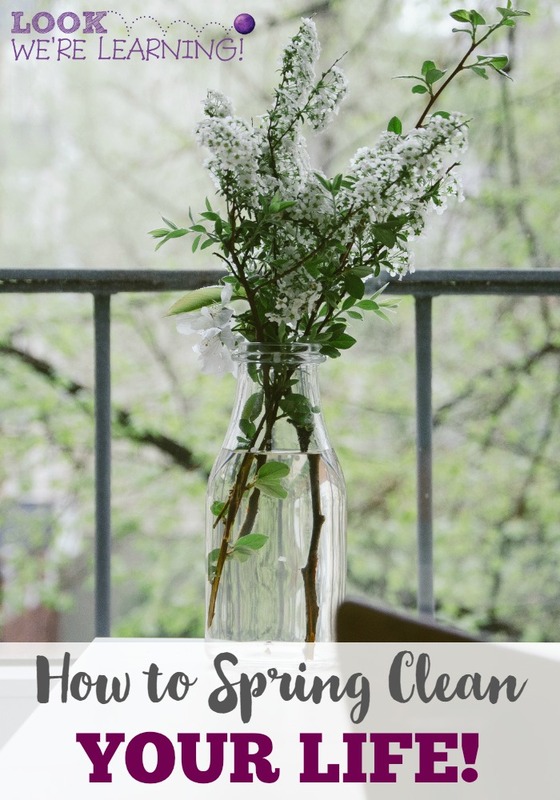 Spring is nearly here, which means that spring cleaning is nearly here. I’m not a fan of housework, but I love spring cleaning. The weather is warming, the air is fresher, and it’s a great time to declutter and simplify. I’ve been decluttering my house for the past month and it’s starting to look…somewhat like a house again. But, this year, I thought: I really need to give my whole life a good spring cleaning and that’s what I’m going to do! 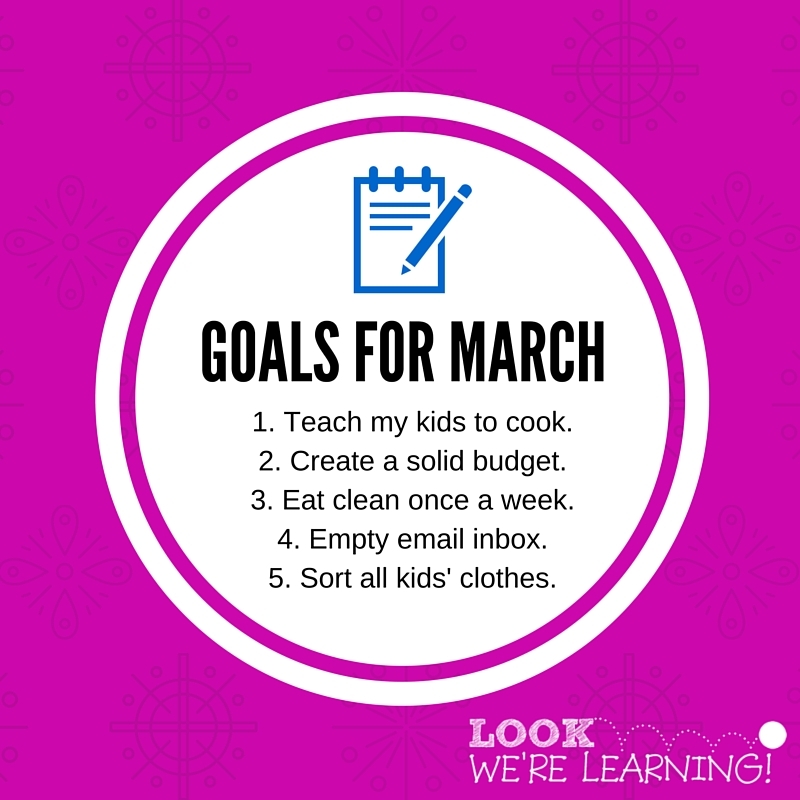 In this month’s edition of the Monthly Goals linkup, read how you can spring clean your life! That’s when I realized that my life itself has kind of become a hoarder’s paradise too. My email inbox is super dee duper full. (Actually, all three of them are full.) My housework schedule is too hectic, since I do have four children who can help. And I’m training for a marathon, but I’ve been filling my belly with actual junk. Mostly because I’m too busy to plan a good meal. So it’s time to simplify and declutter every part of my life, which is what I’m doing this month! If you want to spring clean your life (simplify it and remove the junk), check out my goals for March! As I did in January and February this year, I’m setting a new list of life goals for the month of March. And, like in those previous months, I’ll be setting one for each part of my life. Family: This month, I’ll be working on teaching my kids to cook. I’ve outsourced almost all the housework, except this. Now’s the time. Finances: I need to develop a solid budget for our necessities and include a fixed amount for “fun” stuff. “Nickel and dime” spending really adds up if you’re not careful. Fitness: I’ve started eating wayyyy too many carbs lately – and not the healthy ones either. Time to go back to eating clean at least once a week. Work: This one is going to be the hardest of all. I’m actually going to attempt to empty my work email inbox. As of today, there are 1,665 messages in it. Yikes. Home: Kids just grow like weeds, don’t they! One week, you buy them new clothes. Then you have to do it again the next month and before you know it, you have clothes they haven’t been able to wear in years! All of the kids’ clothes that don’t fit are getting out of my house THIS MONTH. Get more home decor and maintenance ideas from my Taking Care of Home board on Pinterest!